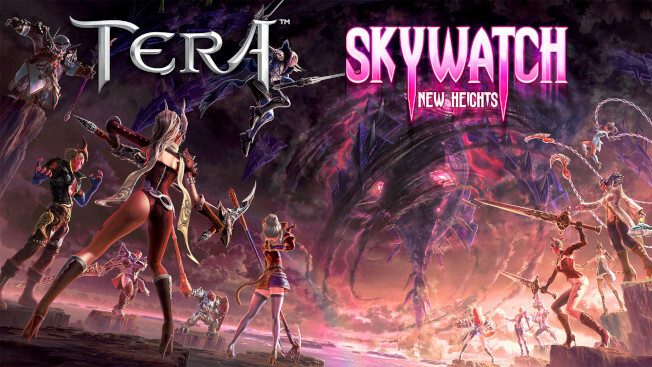 TERA‘s Skywatch: New Heights update hits the PC today, giving players a chance to get rolling down the path to level 70. This isn’t a full-on expansion, but it does make some major changes to certain areas of the game — such as overhauling how players access dungeons. With the launch of this update, players level 65 will be issued a new quest chain titled “The Nightmare Begins”. This chain will get players started on their way to the new level cap. While working to hit the new level cap, players will also be able to take advantage of the new Skill Advancement and Gear Fusion systems. These will allow for better character customization. The first uses experience items earned from various activities to improve the performance of skills. The second system lets players fuse two bits of gear together, creating one piece with more stats. To check out the full update, be sure to hit up the TERA site.